Before we start, please support the Skyd fundraiser – Skyd is what makes Win the Fields and all the other great content happen. 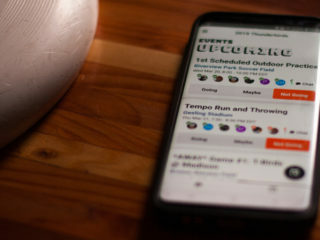 I was wondering about fouling in Ultimate and if there is such thing as a “smart” foul. You see it in basketball all the time where they will foul a player to send them to the free throw line and maybe give their team another shot at getting the ball, when you do see this, you never think that it is bad sportsmanship, it is just part of the game. My main question is, do you think fouling intentionally could ever become an acceptable part of the game without taking away from the spirit of the game? I think this is a tough question because there are few times when I think fouling intentionally would be considered appropriate, on the mark maybe? I really don’t know. Is this a set up? Did Parinella put you up to this? You have two related questions in here: is there smart fouling and can it ever be acceptable under SotG? The short answer to both questions is yes. To get a good grasp on this we really need to look at elite men’s ultimate where the boundary on fouling has been pushed farther than anywhere else. Surprisingly, there is less fouling now than there was in the mid to late 90s. A lot of that has to do with the two most influential teams at the club and college level: NYNY and UNCW. For all the complaining about SotG at the college level, no one brings the lumber like the 90s Seamen brought it. 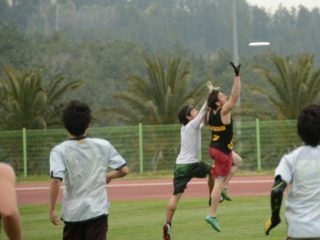 I remember coming up as a young player and going to Tune-Up for the first time with Buddha (which would eventually become Subzero) and getting in a huge argument with Some Tall Guy from Alabama about all the fouling on the mark and how it was cheating and how it was so much better in college ultimate and his reply was literally, “If you don’t like it, go back to college. This is how it is. Learn to deal.” I don’t mean to single him out (which is why there’s no name) – his attitude was pretty typical. And the marks were really, really rough. But over the years things have mellowed in a lot of ways. We’ve had a run of champions who were built a bit more pro-SotG in DoG and Revolver. The effects of the long-term prisoners dilemma have made people realize that nasty, nasty marking doesn’t pay off in the long run. That said, there is a lot of fouling in the men’s game. There is a link lower in the article to the 2009 Chain-Revolver men’s final; Chain fouls a lot on the mark. Revolver got 3 TMFs in this year’s finals against Sockeye; this fouling was crucial to stopping Sockeye’s small ball. The ‘smart’ fouls you will see typically come in two places – a bump right on the catch to throw the offense off rhythm and a hold on an around backhand to prevent the break. 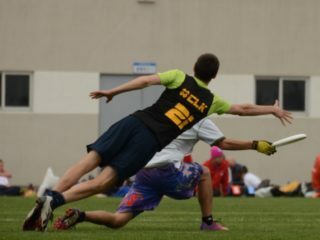 The irony is that these two fouls are so standardized in elite men’s ultimate that they, like your basketball example, are expected and not really considered an issue unless they are egregious. All the elite teams play this way to some degree or another and all of them respect that play in their opponents. It’s a grand, unspoken captain’s clause. 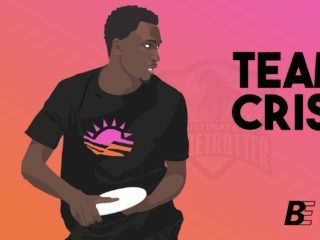 Elite men’s ultimate has some of the best Spirit in ultimate for a number of reasons, but one of the biggest is that all the teams are on the same page about expectations. The recent Win the Fields post on video sparked a lot of great suggestions. U-23 Mixed coach Martin Aguilera went one step further – he wrote his own blog post with lots of practical advice on day-off filming. Check it out here. Your critique is well-taken and one that I’ve heard from many others too. It’s also something that I’ve passed along to the appropriate folks at ESPN. It remains to be seen whether anything will change in the future, but I certainly think it could. In my capacity as the color analyst, I had very little input regarding camera positioning and directing. Consequently, I can’t give you an excellent explanation as to why the choices were what they were. I agree with you that there is much to gain from an All-14 view. At the same time, the tighter angle gives the viewer a unique perspective too. It also makes it easier to see who is who when you’re watching on tv or on the computer. I think part of my job as the analyst is to watch with a wide-angle lens and try to illuminate how a certain receiver got open downfield, or how a certain poach played an important role in a particular play. Like all of the last 5 men’s finals, the winning team got the game they wanted. In this case, Chain was able to lure Revolver into a number of dicey decisions. A game with dicey decisions plays to Chains strengths and away from Revolvers. 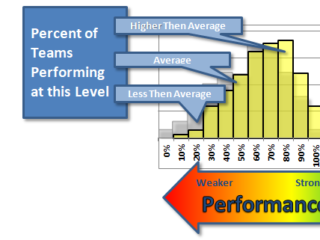 It may seem obvious that the winning team gets the game they want, but it doesn’t always work that way. Sometimes teams win just because they are better or because someone has a great day (or a terrible one), but when you have two evenly matched teams with dissimilar styles, the team that dictates the type of game will win. I really like the tempo of Chain’s game. This is unusual because it is so slow and I prefer uptempo styles, but their tempo is so patient and calm. Most unusually, it is steady. Most slow-tempo teams have moments when they grind to a halt; Chain doesn’t. 2009 Chain’s personnel is so different from their personnel today. No Zip, no AJ, no Hammonds, no Cricket. Two points regarding Chain’s deep game: First, they are just on. That happens sometimes. Secondly, in hucking they get the turnovers they want. Not the turnovers they want from Revolver; they get the turnovers from themselves that they want. Almost all their turns come on goal scoring opportunities from long range that force Revolver to go 70. High reward, low risk. Their defense is excellent and under-rated. They foul quite a bit on the mark (their arms are angled in). Their pursuit is A+ and the sagging off the handlers clearly narrowed the throwing lanes for Revolver.